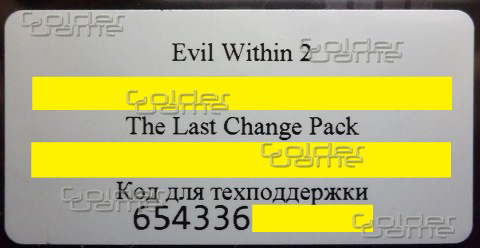 Having paid the given goods you GUARANTEED receive the PHOTO of the license key of activation from a box of game "Evil Within 2", from the company "1C-SoftKlab", for activation in "Steam". The key is issued automatically, instantly after payment in the browser window and in the personal account at https://www.oplata.info/info/, or via the link that came to the post office indicated when paying. 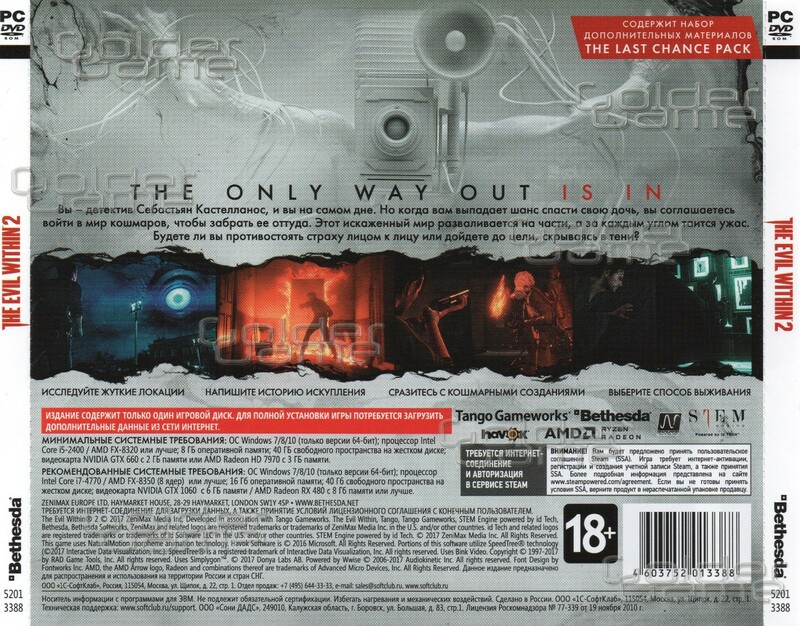 A new game from the famous Japanese game designer Shinji Mikami, the ancestor of the genre survival horror and author of the cult series Resident Evil. Detective Sebastian Castellanos lost everything. Including the daughter of Lily. To save her, he agrees to enter the world of nightmares and fulfill the task of "Mobius," a secret organization that destroyed his past life to the ground. Now Sebastian has to penetrate into the eerie dying city of Union, where even the air itself is woven of horror, and at every angle awaits mortal danger. But this is the last chance to fix it. This distorted world is falling apart. Will you confront fear face to face or reach the goal, hiding in the shadows? • The story of redemption: Sebastian must return to the nightmare world. At stake - his family and life. • Creepy places: examine them carefully, because in this strange world everything is not what it seems, and always be on your guard. • All ways to survive: create traps, run and hide or fight with terrible creatures (ammunition is limited). • Dangerous Enemies: On the road to redemption, you will meet not only deadly sadists, but also people who can help or hinder you. • Animal fear and stress: Visit a terrible world filled with vile creatures and deadly situations.